This is a Porsche is it not? However there’s not a single Porsche badge on it. So it’s not a Porsche then? 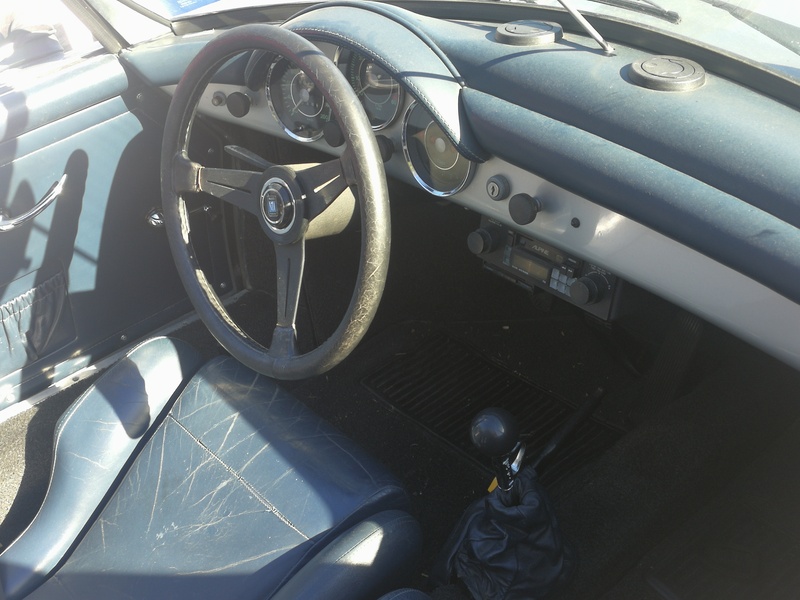 Nope, turns out it’s a Intermeccanica Roadster D.
So what is a Intermeccanica Roadster D? The website explains: The Intermeccanica Roadster “D” is a custom built high quality reproduction of the 1959 356-A Convertible D, featuring in-house designed and built tubular steel perimeter chassis and a Canadian made one piece composite body. The Intermeccanica Roadster “D” is our flagship model with its timeless style and its magnificent cabin featuring the unique one year only (1959) windscreen and fully developed convertible top, you will enjoy your Roadster “D” just as much with the top up as you will with the top down. The perfect choice for drivers over six feet and those who enjoy the open air but can appreciate enhanced wind protection and great visibility with the top up! Each Roadster “D” is meticulously assembled to the original specifications and material. So it’s a hand built Porsche 356A replica! You learn something new every day! What are one of these worth? 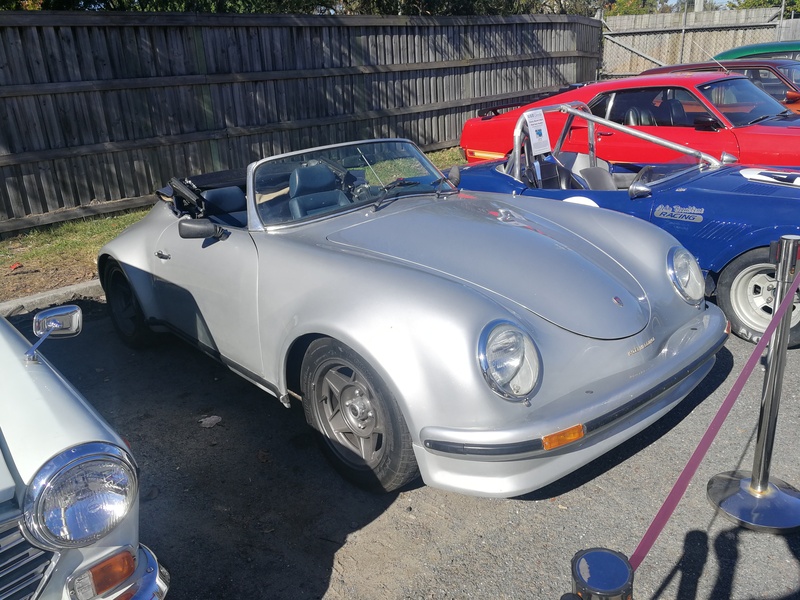 A decent replica 356A seems to be going for anything from 40k-85k here in Australia (that’s 40k for a race ready version, 85k for a low k replica). 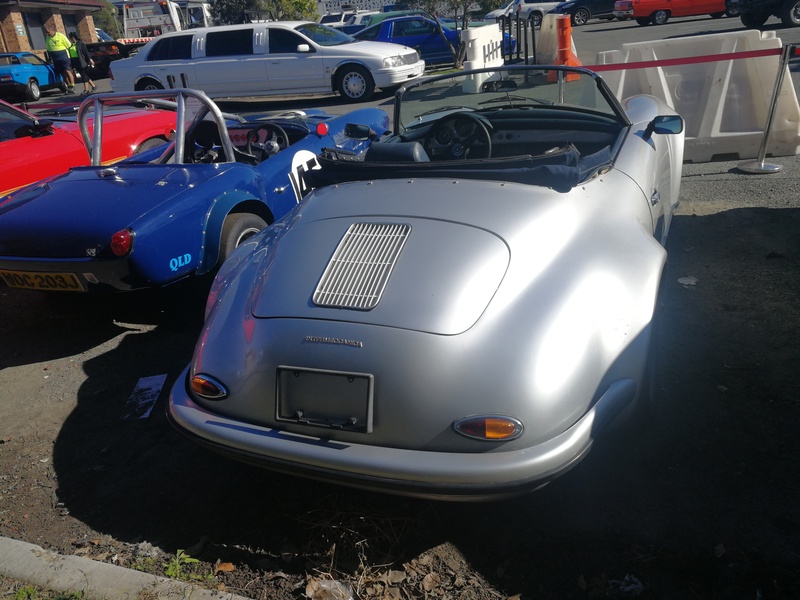 But hey, if you’ve always wanted a 356A and couldn’t afford it, there’s always the Intermeccanica!